Puzzling Queen: Games - Good or Bad? 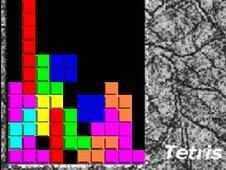 This week Oxford University reseachers revealed that Tetris can actually be a treatment to traumatic stress. Players had fewer "flashbacks", perhaps because it helped disrupt the laying down of memories, said the scientists. It is hoped the study could aid the development of new strategies for minimising the impact of trauma. I can agree on the part that games which keep the mind occupied are good for any stress but I would not really give all the credit to Tetris. Tetris happens to be the game which started the evolution of puzzling games but at least for me it would not work any more. I played it almost 20 years ago so much that I could not bother to play it again. To me japanese puzzles have the same effect. I managed to cope with my father's death and other stressful things playing puzzles and choosing the difficulty level according my ability to concentrate. Trying to solve too hard puzzles may have the opposite effect. 88% of players indicated they experienced stress relief from playing casual games and 74% cited mental exercise as a benefit; when asked to choose the most important reasons for playing, 41% picked "stress relief/relaxation," more than twice the number (19%) who chose "entertainment"; 27% said the games provided distraction from chronic pain and/or fatigue, and fully 8% said they derived actual relief from chronic pain and/or fatigue. Other things in their life get neglected, sometimes even their health gets neglected, their grades start to suffer, relationships start to suffer, and so it starts to bear all the behavioral hallmarks of an addiction. And so I think that’s why the term has emerged. There are even places where people are treated because of this addiction like The Smith & Jones Centre in Amsterdam. But Mr Bakker believes that this kind of cross-addiction affects only 10% of gamers. For the other 90% who may spend four hours a day or more playing games such as World of Warcraft, he no longer thinks addiction counselling is the way to treat these people. "In most cases of compulsive gaming, it is not addiction and in that case, the solution lies elsewhere." Seems a bit controversial to me. In logic this is called circular reasoning. Leena, this Blog Post is very interesting and personal to me. For years I watched my Mother (now deceased) come home from work, from her very busy and intense Law Office, and play Tetris for HOURS. Sometimes into the wee hours of the night! I used to think "how silly" - but in reality, it helped her slough off all the stress of dealing with cream-of-the-crop criminals in her day to day life. In my years as a Registered Nurse (past life - now retired and changed careers)we call puzzle playing, music, and even TV watching "Distraction Therapy". Anything to get them to focus less on how much post-op pain they are in. They require less pain medication, and pass away the endless hours doing something that stimulates the mind. While it is true that there are some people who suffer from "addictive personalities" it is not going to matter if it is a puzzle, or a drug, or some other form of distraction....that does not make puzzles BAD. I know some teens who play World of Warcraft religiously. Their inability to control the addiction I think rests squarely upon the parents! Teens have poor impulse control and have not learned to make good use of their time to balance out the other responsibilities in their life. Still, as a whole, I don't think the few that abuse the situation makes "gaming" a bad thing. We all enjoy a form of escapism from time to time. Just like a good book...getting lost in a challenging puzzle is a GOOD thing. I sudoku, not very well, but I enjoy it so much. I usually pull it out if I can't sleep and work the puzzles in bed...hey, it works for me. All in all, life is short, if puzzles are "your thing" I say "puzzle on, Player". Long story short...puzzles are fun!